A first time farmer and exporter from Savai’i will export his first container of frozen taro to Alaska, United States of America. 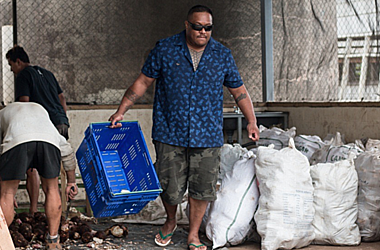 Michael Ulugia from Satupa’itea is the first Samoan to export frozen taro to Alaska and on Thursday he was at the Ministry of Agriculture and Fisheries Packing house in Nu’u helping to pack his first shipment. Mr. Ulugia was elated that he had finally achieved what he set out to do four years ago. Originally from Vaiusu and Satupa’itea, Savai’i, Mr. Ulugia was born in American Samoa and lived most his life in the U.S, spending the past 10 years in Anchorage, Alaska. Mr. Ulugia said his home country was never far from his heart and he always wanted to do something for his family back in Savai’i. Coming from a commercial cooking background, the former head-cook for the Mexican restaurant franchise, Qdoba, spent years working and saving up to get together enough money to invest into a business venture that focused on the agriculture and fisheries sector - the backbone of Samoa’s economy. From his home in Alaska, Mr. Ulugia contacted Small Business Enterprise Centre (S.B.E.C.) in Samoa to help him with start-up capital. S.B.E.C. Consultant Susana Liufau answered the call. For four years, she assisted him by doing the market research and all the due diligence required in setting up an export business in agriculture and fisheries. Mrs. Liufau spoke about the many challenges they encountered along the journey starting with the initial plan to focus on fisheries, which fell through due to challenges with the perishable nature of fish products as well as investors backing out at the 11th hour. 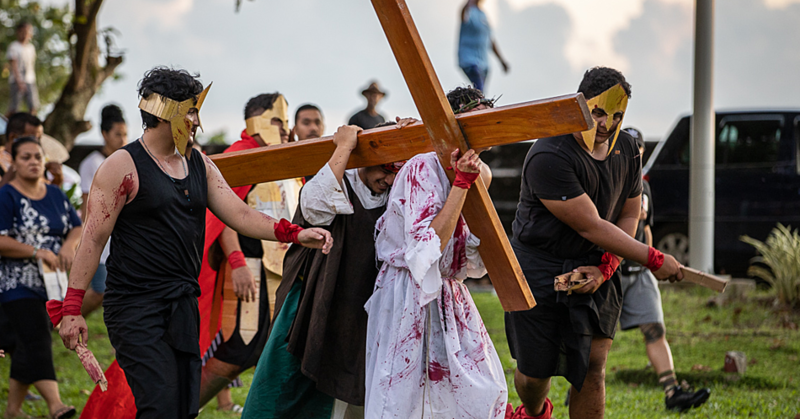 The next challenge Mr. Ulugia met was the logistics around trying to run a plantation in Samoa from Alaska and one of the biggest lessons learnt along the way was he needed to be present in his village and his family in order for his plantation to flourish. 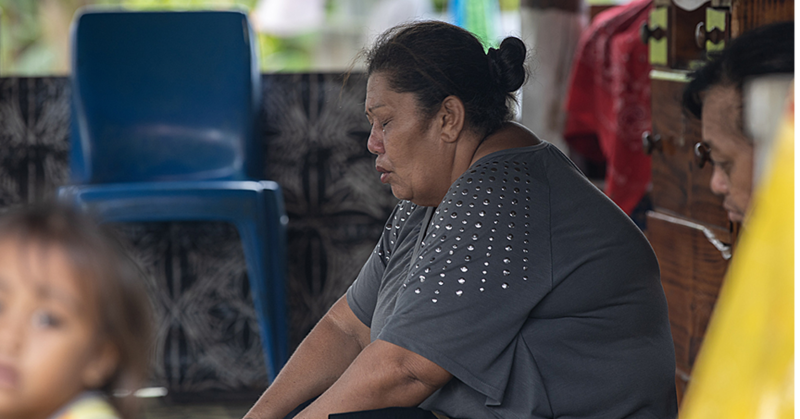 “When Michael couldn’t buy taro from farmers in Samoa, he went back to his family land in Satupaitea and Sili and started his plantation,” said Mrs. Liufau. “But problems arose when he went back to Alaska and left the plantation to his family sending money for the planting and the upkeep of the plantation." Mr. Ulugia then decided to bite the bullet and stay on longer to work on his farm. He realised that capital wasn’t the only thing he needed to invest into his business venture; he also needed to invest in building good relationships with his family and his villages. As a result he came to appreciate the hard work that goes into being a farmer. “I’m not a business man because I’m pretty new in the game, but if you get hit and you fall but you never get back up then you’re not going to get anywhere but if you get back up then God is going to bless you in many different ways. Working as a farmer is not an easy thing; it’s a lot of hard work. But I’ve had some experience of farming when I was a kid so this is like coming back to my roots." Through his journey, Mr. Ulugia’s has learnt that there are more ways to skin a cat - securing a market in Alaska and starting his own plantation instead of solely relying on other taro farmers. “We got a lot of Samoan people and other Polynesian people in Alaska, so it’s really nice to provide them with a product they want that reminds them of home,” he said. 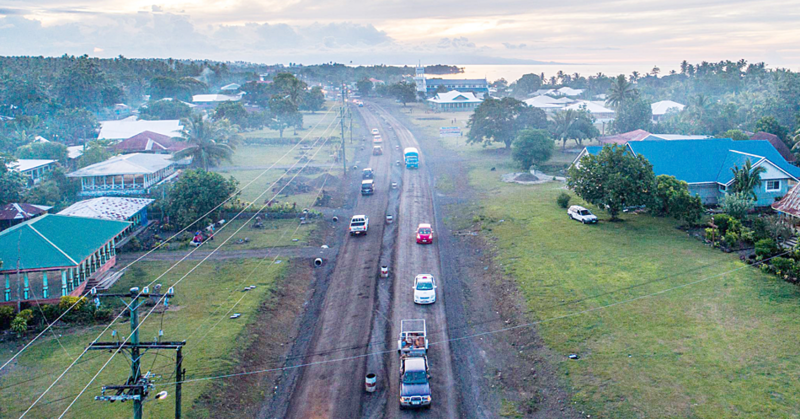 “There is taro there but it’s from Fiji and it’s been in the market for long but the thing is that our taro market has just started to pick up again and Samoa has got the best taro." Mr. Ulugia hopes to use Alaska as a platform to reach other markets in the United States. Mr. Ulugia cannot contain his excitement at being able to finally export to Alaska. He is enthusiastic about the future and wants others to know they can create opportunities for themselves. “I’ve worked hard all my life so I want to share my story so that I can help inspire other people. I want people to look at their life differently, to not always see that life is hard right now but to look ahead at the possibilities in the future."